Summer means BBQs, pools, popsicles, and red white and blue around here. Later this summer we'll be hosting our first ever A Very Toddler Fourth series filled with simple toddler-friendly Fourth of July activities. For our Virtual Book Club for Kids this week we are reading Mouse Shapes by Ellen Stoll Walsh and talking about shapes! Our favorite shape is a star, so this activity went along perfectly with the book! First, trace the star cookie cutters on to the white paper. Then either cut them out then or get started painting. Stick a piece paper into a shoebox. Dip your ball into blue or red paint. Stick it in the shoebox, close the lid, and SHAKE IT! Once the ball shakes for a bit, rinse it off and try another color. 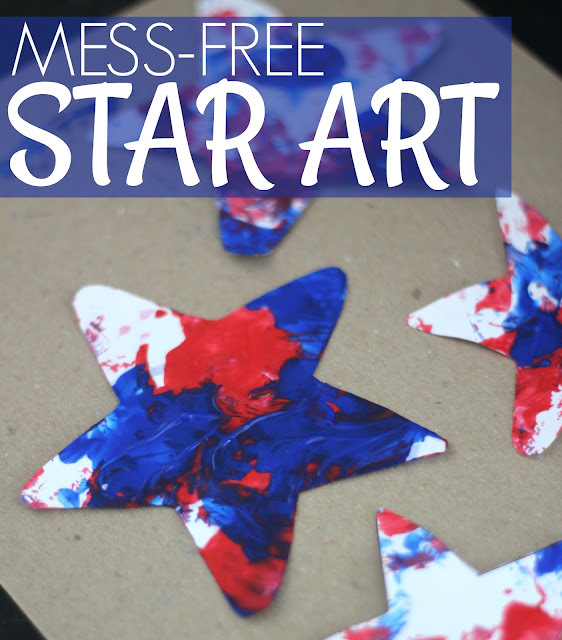 If you have a toddler who would rather touch the ball and paint by hand, then just let this turn into a messy activity instead! 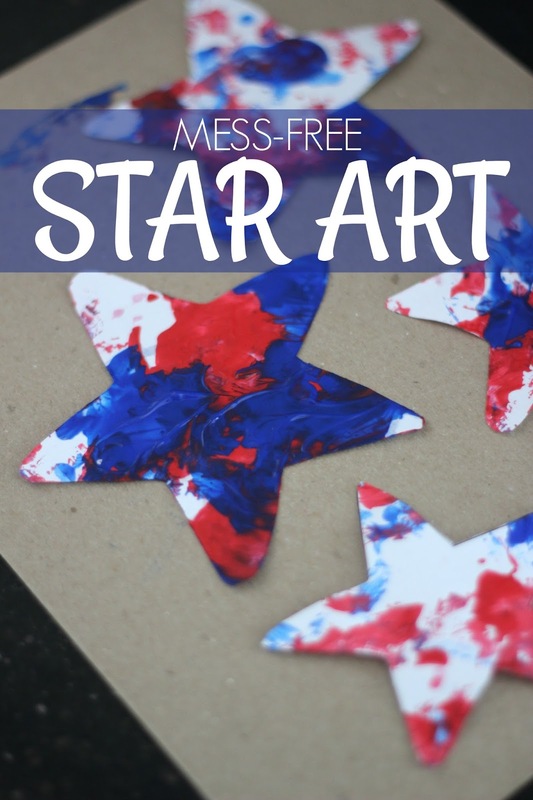 Once you've added enough paint to the stars, cut them out (if you haven't already), let them dry, and then use them to decorate for Memorial Day or the Fourth of July. We loved how colorful these stars turned out! DO YOU HAVE ANY OTHER FAVORITE SHAPE CRAFTS OR ACTIVITIES?